Yes, Unlimited! This pedal is lightweight, easy to travel with, and leaves plenty of room on your pedalboard. The bottom of the pedal has a thick rubber pad to keep it still on any surface. 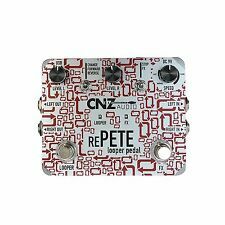 The simplicity of this looper pedal makes this easy for a beginner player, while the recording and looper opportunities make this pedal great for any advanced player. You can use the Looper as a tuner mute. Connect the tuner to the upper right hand jack and let your guitar signal pass through the lower two jacks. Stomp the switch for silent tuning! You can also use the Looper without power; you will not have the dual LED indication, however. Yes, unlimited! The simplicity of a one knob looper pedal makes this easy for a beginner player, while the recording and looper opportunities make this pedal great for any advanced player. Plug in a bass or ukulele to fill in the rest of your band! Year 2010 ?. = Lehle Little Lehle II. 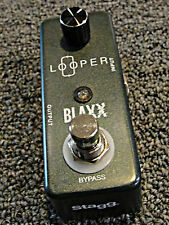 Looper Switcher Effect Loop 8-20V. 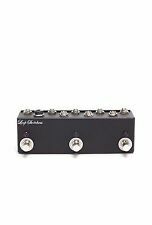 Lehle Little Lehle True Bypass Looper / Switcher in Stereo, New! Lehle Little Lehle. 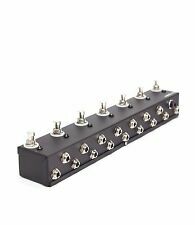 The Little Lehle II - the universal Lehle switching and looping tool. The Little Lehle II removes effect pedals from the signal path at the press of its button. Our goal is to process your orders quickly, efficiently and professionally. Heavy Duty Velcro Bottom. Military Spec. Silver Stranded Wire.050" Aluminum. It can be used to manage an effect-loop, or as a simple A/B box. Lehle Authorized Dealer. Little Lehle II. You’re purchasing from an authorized Lehle dealer. 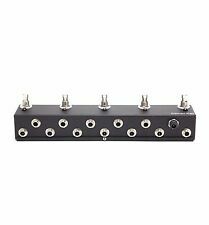 Carl Martin Octa-Switch MK2 Multi-Effects Looper Guitar Pedal. Ok, so you have eight effects pedals which you use regularly. Enter Thomas Guldmann’s Octa-switch II. The Octa-switch II has incorporated a couple new features as well! Flashback 2 Delay Effects Pedal. Mooer Micro Looper Loop Recording Guitar Effects Pedal. MICRO LOOPER inherits the MINI size of MICRO SERIES. This gives you an easy and direct operation experience. You can focus on your music and need not to worry about other troubles.